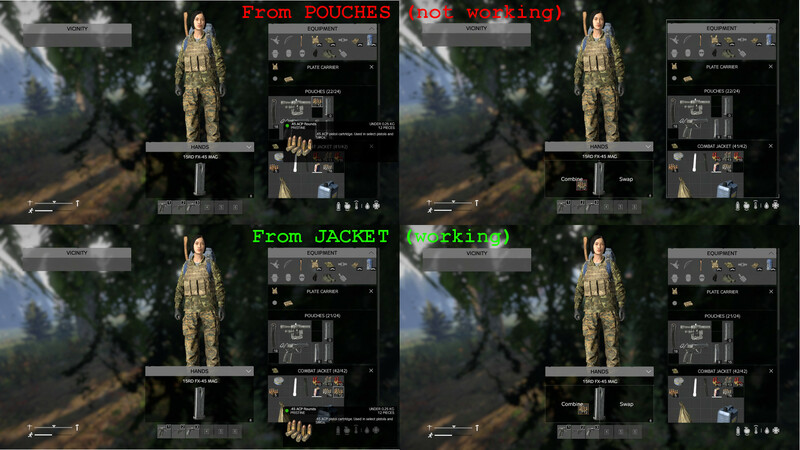 You cannot load ammo when dragging the ammunition from attachable pouches. You will get the red "wrong ammo" option. Put ammo in pouches and try to drag it and load it to the magazine or weapon. Hello Kvaston and thank you for the report. Geez added a subscriber: supermacro.